Thank you for all your wishes while my mother was in the hospital with pneumonia. It has slowed down the painting process, that is now ready to burst out again. Here are the next paintings I will be working on. These are the drawings (with a little under painting). I will continue to show you the process as each come into their own completion. 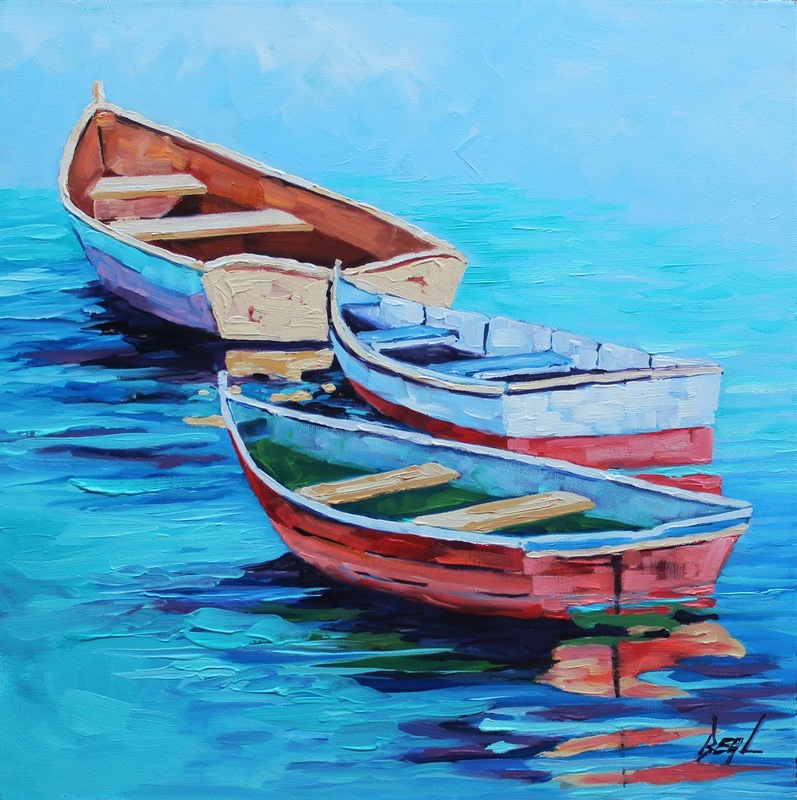 And some boats I recently completed. She thought of a special memory and this is the one she decided on. And if we do what we love, that thing that makes our heart sing, just maybe we are making an impact and earning an income too! It is crazy how synchronicity works. 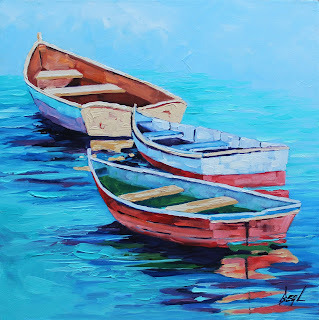 I was debating on my next work and thought it may be time to paint a series of boats. 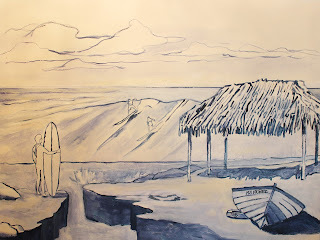 Then I started working on a commission going to La Jolla Calif., with ocean and boat! Well there is was my set of 3 synchronicity s.
These were some of the drawings my client from Calif., was given to choose from.